Exedy Corporation is a Japan Based Company engaged in the manufacture of Manual & Automatic transmission related Automobile Components. With over 80 years experience in the automotive transmission industry, Exedy is a pioneer and leader in the manufacture of ‘drive train’ products with 24 factories and 6 regional distribution centers. They are today the No. 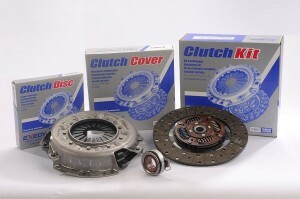 1 choice of OEM’s , Fleet Owners, Service centres and discerning customers worldwide. For sports car lovers where high powered & heavy duty clutch components are required, EXEDY is the Ideal Choice having specialised products available at most affordable prices. With their Philosophy of ‘Excellence’ in Manufacturing and ‘Dynamism’ in Technological Advancements, they stand committed to the goal of providing the Very Best to all their customers worldwide.